OUR PRICE: $11.77 - Join Rewards Get $1 Dance Dollars On This Item! 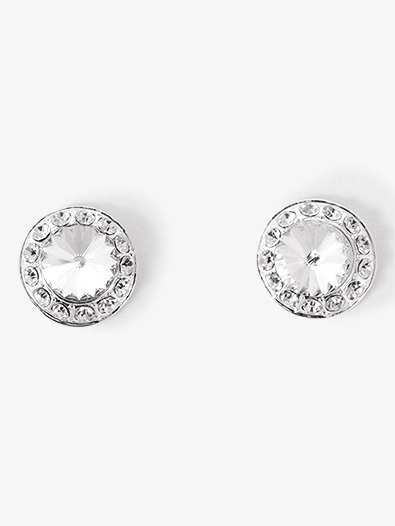 A serious pop of sparkle for any performance outfit! 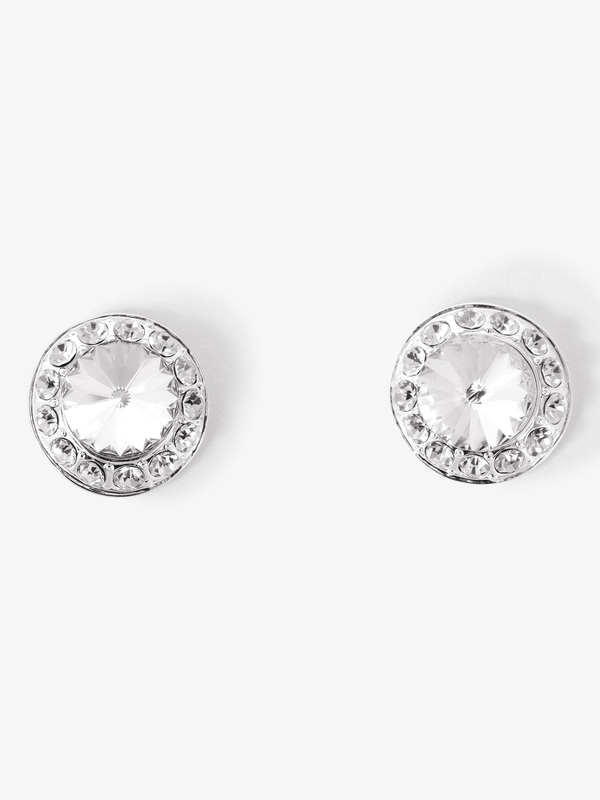 These large post earrings for pierced ears feature one large 10mm center stone and 13 smaller outer stones. Silver plated, won't tarnish. Hypoallergenic. Measures: 18mm in diameter.